Hi to all, I have an unusual request of asking the dimension of a discovery 2 steering box, in particular the one as described in the picture. I am searching for a right hand box for a conversion of a LHD 1947 truck and so far this style is the most promising as far as possible to tell looking at photo's etc. This dimension though is the most crucial. 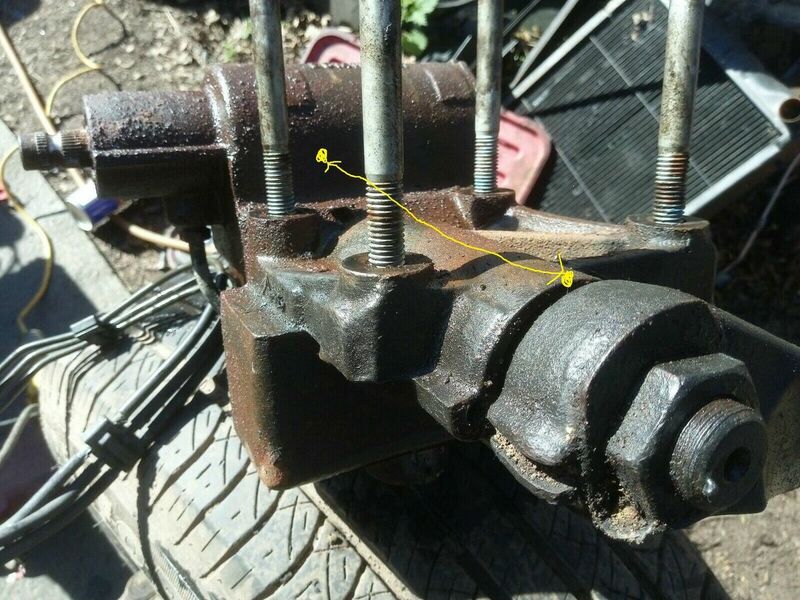 I need it to fit inside the chassis rail behind the beam axle so also may have to rotate the pitman arm 180 degrease, is this possible.The second picture is of the original LHD side to give an idea of the space available but on the opposite side. Many thanks.